Only 40 serial numbered pieces of this Tactical Response TR-4 automatic have been made, making the limited edition knife all the more desirable. 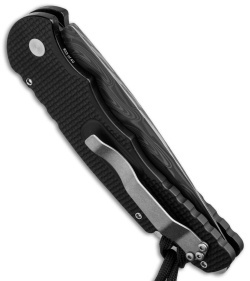 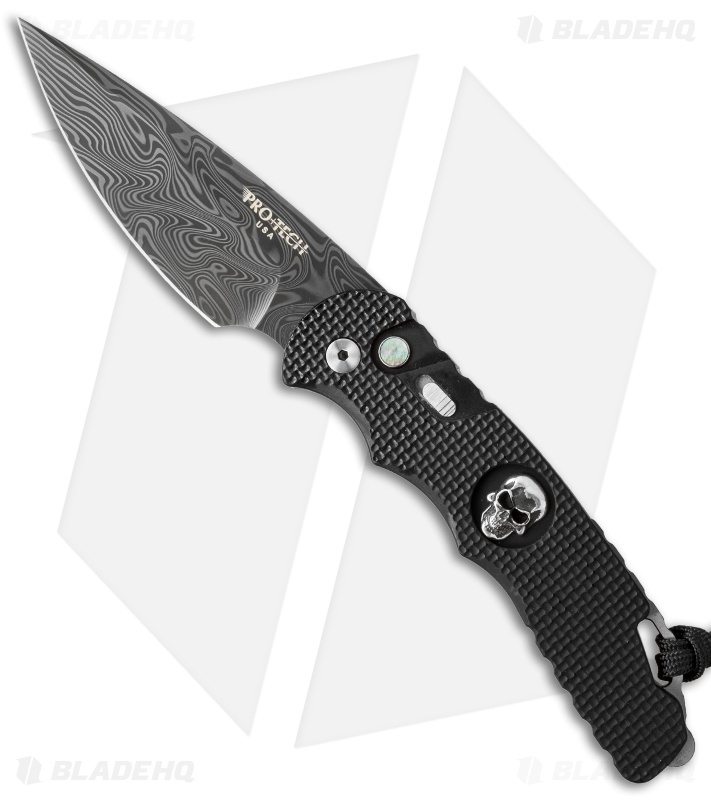 It features a Bruce Shaw designed sterling silver skull set into the black anodized aluminum handle, which features Protech's new knurl texture with just the right grip-to-comfort ratio. 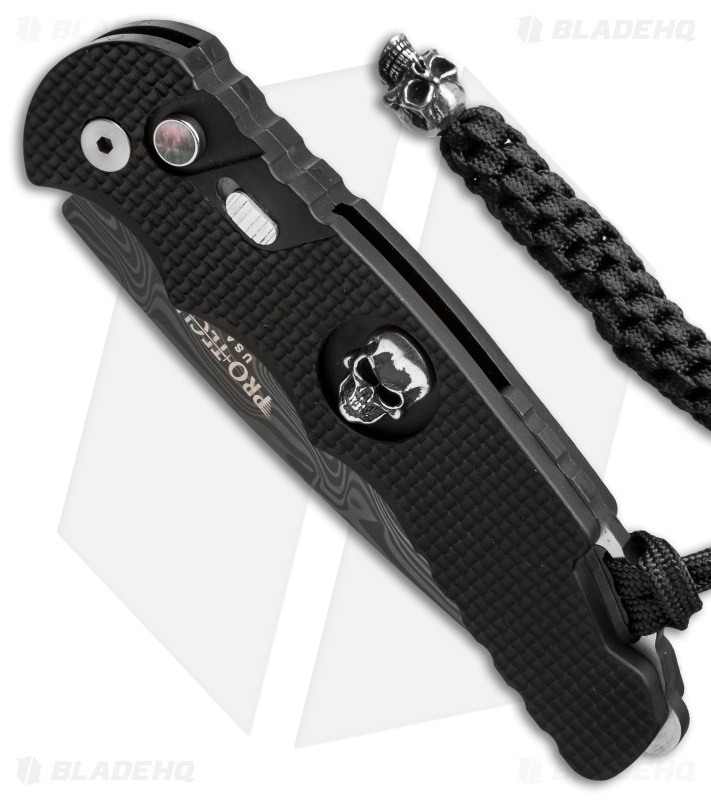 Beyond the Shaw Skull and texture, the handle is fitted with a mother of pearl firing button, stonewashed titanium pocket clip, and includes a custom skull lanyard. The blade is "THOR" pattern Damasteel, which showcases rich layers of folded steel.